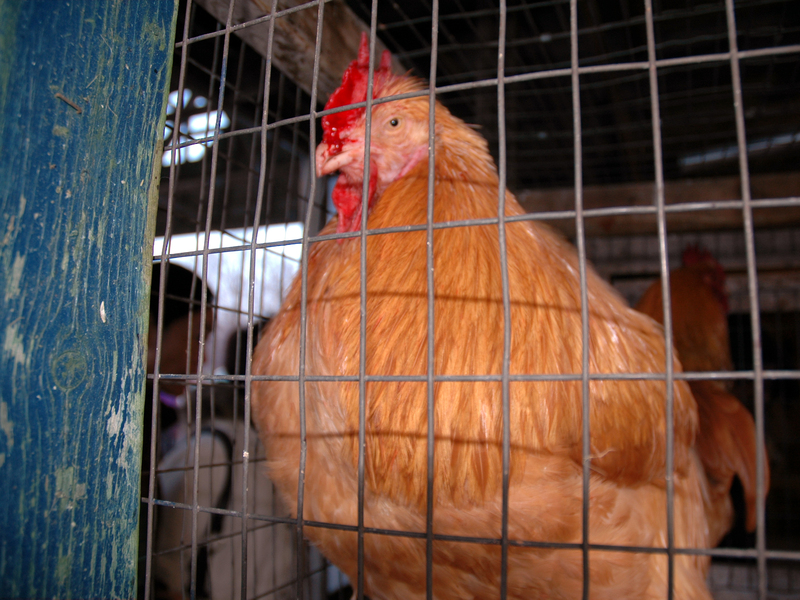 Live animal markets are notorious for withstanding humane pressure. This is due to the fact that both the public and regulatory agencies consistently see the often inhumane treatment of food animals as separate and distinct from pet animals. 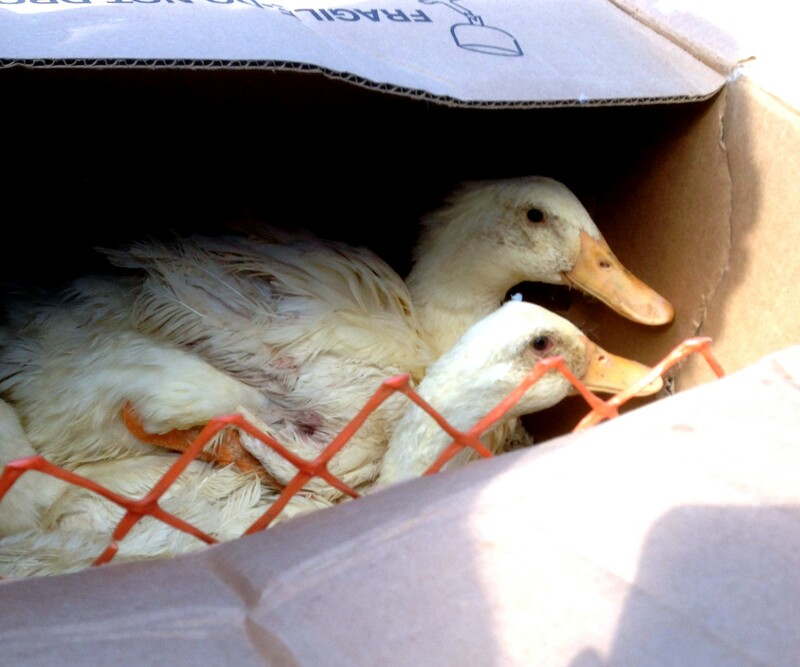 While few people would hesitate to contact the police if they saw a dog locked in a hot car, fowl and rabbits are put into the trunks of cars in 40+ weather every weekend at the Stouffville Livestock Market. One small mercy is that the summer is almost over now and the hottest days for animals are mostly behind us. But that doesn’t mean that any government agency was able to seriously step up and take action for the birds and animals of the Market. At a time when SPCAs are justifiably reminding us that we need to take precautions to keep our pet animals cool by not leaving them unattended in cars, the helpless food animals (chickens, ducks, turkeys, exotic birds, other fowl and rabbits) at the Market are still being put into the stifling, unventilated trunks of cars and driven an unknown distance to their uncertain fates. According to the National Highway Traffic Safety Administration, high temperature, humidity and poor ventilation create an extremely dangerous environment in a vehicle trunk. This veterinarian sits in a parked car to test the temperature that a pet would experience. While the trunk is not exposed to direct sunlight, it will still be unbearably hot for a confined animal – on a 95 degree day, the trunk may be 120 degrees. It will certainly be hotter than the passenger compartment which at least has ventilation when the windows are down, if not air-conditioning. 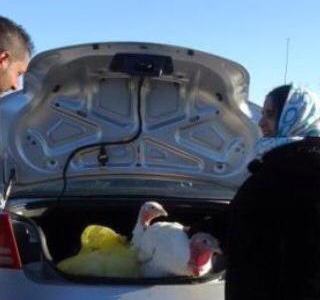 While people in other cities are arrested when caught putting animals in the trunks of cars, York Region Police claim to be unaware of any criminal code violations as they pertain to putting ANY species of animal in the trunk of a car on an oppressively hot day. I know this because myself and others have spoken to them directly about the animals at the market and Criminal Code legislation. 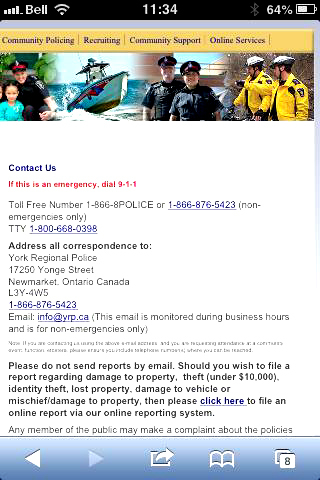 The fact is, when the OSPCA is closed outside of business hours, automated messages and instructions on their websites instruct us to call the York Region Police during off hours. The OSPCA has given the market instructions to provide all animals with water but most of the market vendors and management are either unwilling or incapable (probably both) of following this directive. Even when we have seen water provided (only on the day of a protest by activists) only the animals on display have been offered water. Animals kept in confined in plastic containers or on trailers are not offered water unless they are moved to a display cage. Why do people look the other way when they see farm animals stuffed into the trunk of a car? They would almost certainly object if they saw you lock your dog in the trunk, especially on any of the hot July or August days in York Region. And what kind of person just won’t be bothered to provide water for their animals, especially when told by a government agency to do so? All farm animals can and do suffer from heat stress – signs are panting, increased salivation, drooling or foaming, increased respiration or laboured breathing, lethargy, or even unconsciousness. 141. (1) Subject to this section, no person shall load on any railway car, motor vehicle, aircraft or vessel and no carrier shall transport animals of different species or of substantially different weight or age unless those animals are segregated. …wilful neglect causes damage to animals or birds that are being conveyed or everyone who is the owner or has custody or control of an animal or bird wilfully neglects or fails to provide suitable and adequate food water, shelter and care, is guilty of an offence. A person convicted of this offence is liable to imprisonment for not more than two years if the prosecution proceeds by way of indictment. If convicted of an offence where the Crown proceeds by way of summary conviction, the person faces a maximum punishment of a fine not exceeding $5,000 or six months in jail or both. …evidence that a person failed to exercise reasonable care or supervision of an animal or bird and thereby caused injury or damage to it, is, in the absence of evidence to the contrary, proof that the injury or damage was caused by “wilful neglect”. In our opinion, the livestock market cannot simultaneously operate and meet all of these conditions. “To minimize risks of heat stress, farm animals should only be transported during the cooler hours of the day. Space per animal inside transport trucks should be increased by reducing stocking densities to ensure proper air flow between animals and, in the case of pigs, to allow them to lie down. Trucks should be tarped and well ventilated. Water should be provided regularly on long journeys. Canadian transport regulations, the Health of Animals Act, Part XII, Sections 143, (1)(d) and (e) state that “No person shall transport or cause to be transported any animal in a railway car, motor vehicle, aircraft, vessel, crate or container if injury or undue suffering is likely to be caused to the animal by reason of undue exposure to the weather or inadequate ventilation.” Yet, in Canada, farm animals are routinely transported during mid-day intense heat in overcrowded, un-tarped trailers, with no forced ventilation or water, as documented by CETFA inspectors. Even when outside temperatures are not extreme, temperatures inside a trailer can rise dramatically if it is slowed by construction, stuck in traffic or otherwise forced to sit stationary, such as during unloading or at border crossings, where no dedicated lanes exist for livestock trailers (see case documented by CETFA here). 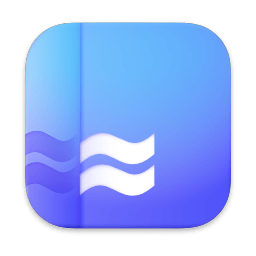 Moreover, the amount of water vapor in the air (humidity) can lower the air temperature that farm animals can withstand without becoming heat stressed. For instance, research indicates that temperatures over only 23oC (73oF) can cause stress to cattle when combined with high humidity. Various combinations of heat and humidity, along with transport conditions, thus have the potential to negatively impact farm animals and induce heat stress during the summer months. We ask that the readers of this blog post take action when it becomes apparent that farm animals are being transported in inappropriate conditions and suffering from heat stress – please contact the Canadian Food Inspection Agency (CFIA), the government body responsible for the enforcement of farm animal transport regulations, to report your concerns. Provide details of your observations (location, time of the day, name of the transport company, and D.O.T number printed on the rig, as well as the species transported and the signs of heat stress you observe). Remind the CFIA that livestock haulers are legally required to take reasonable steps to protect farm animals from severe weather and prevent unnecessary suffering, and urge them to enforce the regulations as they are mandated to do. Also, contact the trucking company involved and email us details of the incident. You can contact the CFIA at 1-800-442-2342 or through your local CFIA office (found in the blue pages of your telephone directory). The Ontario SPCA operates on a complaints basis. This means that you can help animals by being aware of at-risk animals in your community and by reporting cases of suspected animal cruelty to your nearest Ontario SPCA Community, police, Crime Stoppers or police. 1-888-ONT-SPCA (668-7722) ext. 327 or email cruelty@ospca.on.ca, or contact Crime Stoppers at 1-800-222-TIPS (8477), your local Ontario SPCA Branch, affiliated Humane Society or police. Ducks and other birds have no water, and this area smells absolutely foul – like stale urine and decaying matter. note onion bags nearby. This vendor seems to be providing water; it’s brown from the grass hay the rabbits are eating. This pic shows that the animals utilize the water when it’s offered. These young rabbits do not have water – no animals at this vendor’s stall were provided with any water. Another view of rabbit cage without water. These chickens are courtesy of the same vendor as the rabbits. Again, no water is provided despite OSPCA decision. A great turnout on a very cold day…. 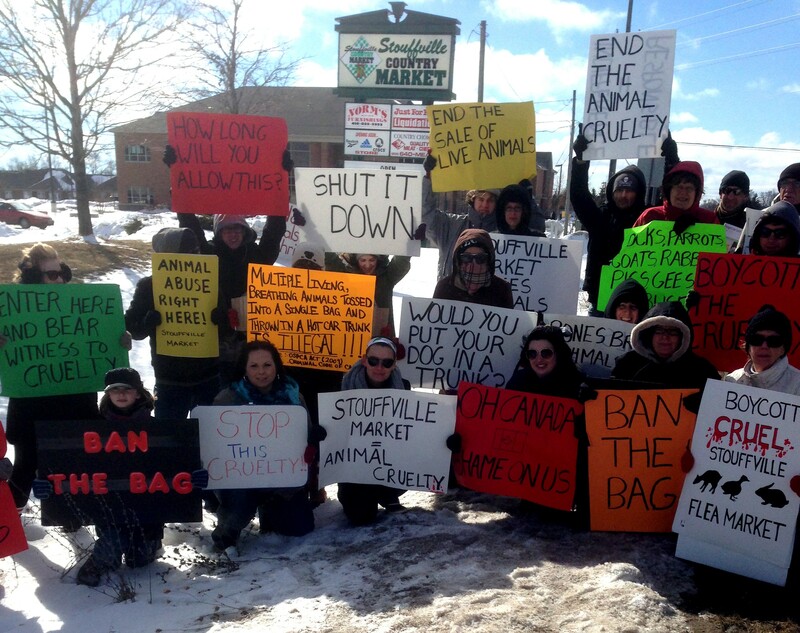 Today was our second protest against the Stouffville Livestock Market, which re-opened for the 2013 season. Fortunately the protest was uneventful, despite some early signs that there might be some hecklers. At the end of our three-hour protest, we were delighted to meet a kind gentleman who regularly rescues and rehabs some of the birds from the livestock market. I’ve included pics of today’s rescue, and I hope you’ll compare this to the Toronto Star video and make note of the fact that these particular birds show some sparse feathering and bloody scabs, which is not atypical for many of the birds sold here. Today, I’m also taking the opportunity to respond to a couple of Letters to the Editor that appeared as follow-ups to the original article. “I applaud Bill Fletcher and the vital part he plays in providing an option for folks who choose to take control of their food source. Heather Clemenceau appears to favour factory farmed chicken because “there is a somewhat consistent method of killing,” as if that could make up for the atrocities of a poultry factory floor. Conscientious protest is a right to be encouraged, though in this instance the OSPCA and Canadian Food Inspection Agency did not find the alleged cruel, outdated mistreatment of animals at the Stouffville Country Market. I would encourage Ms Clemenceau to watch the episode of CBC TV’s www.cbc.ca/news/health/story/2011/02/10/cons-supermarket-superbugs.html.MarketplaceEND that investigated superbug bacteria on supermarket chicken — the same chicken that most carnivores are familiar with, the same chicken described in the article as “plastic-wrapped packet of boneless, skinless breasts from a refrigerated grocery store aisle,” the chicken that the people who buy from Bill Fletcher do not want to eat. 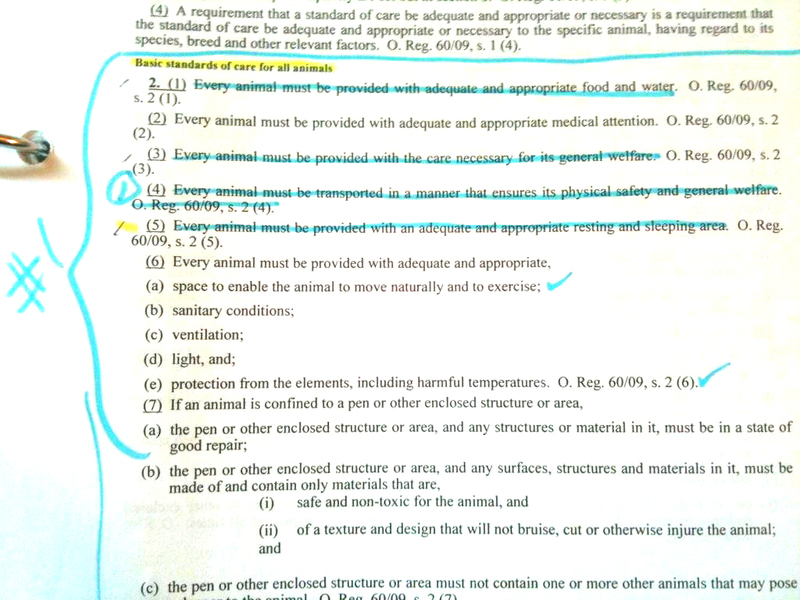 SPCA Regulations are only one set of regulations pertaining to animals. Criminal Code may also apply. campylobacter often present on raw chicken, but bacteria that antibiotics cannot kill. Some bacteria were resistant to as many as eight types of antibiotics. Canadian poultry farmers are allowed to use the full range of antibiotics including those used exclusively when treating pregnant women and children. Unless consumers buy chicken raised without the use of antibiotics (and clearly labelled as such), they are purchasing factory-farmed chicken that has consumed a lifetime of antibiotics, given for little reason other than delivering a weightier product, faster. Why should this concern people like Ms Clemenceau? Because the day may (some on the front lines of medicine say will) come when superbug bacteria will infect our population — vegetarian and omnivore alike — and our arsenal of antibiotics will be of no use. And that is where Bill Fletcher and choice comes into play: by offering his beautiful birds for sale, he is helping to provide a varied system of food delivery. It seems to me that petitioning to close the livestock stalls at the Stouffville Country Market is a mistake that plays right into the hand of industrialized (and not so healthy) food. Perhaps vegetarians, vegans, and omnivores could unite — as all are at risk of future bacterial infection without antibiotic relief — and demand that the use of antibiotics in animal feed be outlawed across Canada. This protection is already offered throughout much of Europe. When you call the OSPCA after hours, you are directed to contact the police. Yet today, despite police presence, they seem unwilling to even inspect the market when provided with the regulations. ‘Heather Clemenceau and Nic Wilvert have the right cause, but the wrong target. Small livestock dealers at the Stouffville farmer’s market, following a centuries-old tradition of selling live animals to individuals, are not committing atrocities toward animals. Neither are the buyers. Instead, these animal activists should be directing their energies toward improving the mega-sized, highly commercialized food system in Ontario where animal welfare is really in question. 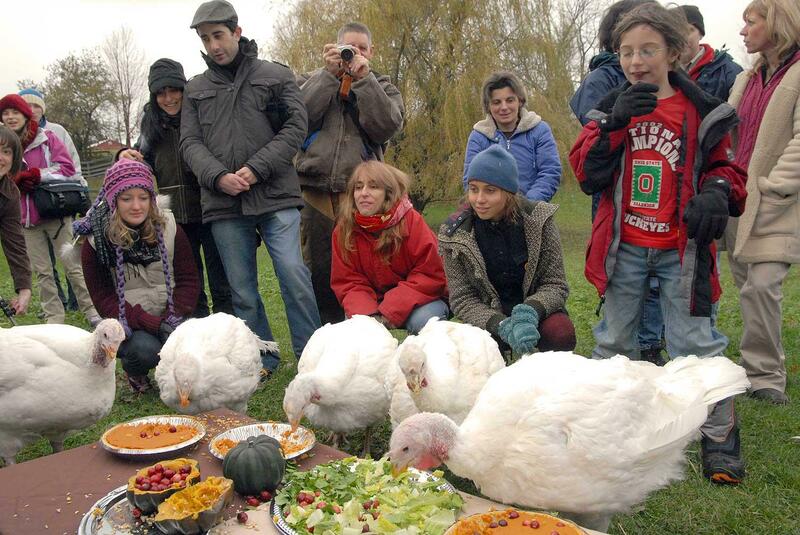 Do these do-gooders not know about the living conditions and transport of most factory farmed animals? And the huge processing facilities where thousands of antibiotic-infused chickens are mass executed daily in a mechanized fashion? Is the “consistent method of killing” frenzied, stressed animals en masse that Clemenceau refers to in her blog, a preferred fate to the killing of individual animals by humans who end their lives quickly and humanely? The cellophane wrapped, Styrofoam-tray mounted, chemical-laced poultry product most of us now buy in our box stores is a far cry from what our families used to purchase just a generation ago. I can’t see this as progress. I would like to respond to Ms. Muir and Ms Sheedy’s Letters to the Editor, published on March 23rd, the day of the opening of the Stouffville Livestock Market for 2013. I wish to clarify that at no time during my interview with the writer Rachel Mendleson did I state that I preferred CAFO farming of any animal. What I did say was that, with the vendor disclosure that many clients were buying these birds, likely for halal or kosher slaughter, a system with controls and inspectors, however flawed, is better than none at all. That does NOT have to be large scale slaughter – a licensed butcher would be much more appropriate, as would a mobile slaughter truck. Halal and Kosher slaughter (or other inept methods of killing) are cruel in that they do not stun the animals beforehand, so they are completely conscious when slaughtered, which I’ve discussed in a blog post and therefore won’t address it here again. The average person killing an animal purchased at the market will be unable to determine whether the vertebral arteries have been severed to the brain (unless of course the animal is completely and immediately decapitated). The livestock industry uses the majority of antibiotics sold today – and it’s quite true they are slowly losing their effectiveness in fighting bacterial infections . I’m honestly surprised that the writer cannot make the connection between antibiotic use and the mass production of animals. Surely the writer recognizes that the increase in overall meat consumption has been facilitated by the low cost of meat, due to the mechanization of meat processing, increased economies of scale, and antibiotic use? Without the ability to slaughter hundreds of animals per hour, the craving for meat cannot be satisfied, especially by the small scale producer. Mechanized dis-assembly of animals occurs as a result of the demand for cheap meat, which we’ve also seen result in the horsemeat adulteration scandal in the EU. The only way to avoid this is to stop patronizing the industry. Any producer, large or small can be a contributor to unethical animal handling, and yes, often the biggest culprit is factory farms. But small scale farmers can hardly be excused because their product “may” be less adulterated. The true pressure on small farmers are not the activists asking that blatant cruelty stop, but on farmers themselves to establish CAFOs in order to compete with the larger corporations. These are not issues we are exploring in our protests. Therefore, discussion of antibiotics in food has little bearing on the deplorable practice of putting animals in the trunks of cars in any climate. Causing undue suffering such as this is in contravention of the SPCA act and Criminal Code. Again, our issue is cruelty, plain and simple. These birds show a reality that is somewhat different from the video of Mr. Fletcher’s establishment. Notice the small scabs and blood-tinged sparse feathering. Today they were rescued by a compassionate man who will rehab them. Also notice that he has them in a box and not an onion bag! Ms. Sheedy decries the “Styrofoam-tray mounted, chemical-laced poultry product most of us now buy in our box stores is a far cry from what our families used to purchase just a generation ago.” What we’ve actually done in the last 100 years is trade one form of cruelty – the unregulated abattoirs, for another – the mass dis-assembly of animals on a production line. The way in which we view animals has changed dramatically over the last 100 years. We experience tension and clashes in this era due to a growing fondness of some animals and the consumption of others. Most abattoirs 100 years ago where situated in slums characterized by extreme poverty, filth, delinquency, and crowded conditions. Today, it is generally acknowledged that sentient creatures being killed are worthy of protection. If you have a market such as this where neither OMAFRA nor the OSPCA are willing or able to direct changes, you have the same institutionalized “forgetting” that creates the conditions for cruelty hidden in a quiet country town. Come at me ‘bro. We received this message via a circuitous route – thankfully the heckler did not emerge. More of an issue perhaps is why adults encourage minor children to engage with adults and encourage harassment. And harassment is not a skill that will take your kids anywhere in life. Even in the eighteenth century , reformers argued that “public slaughterhouses” would be preferable to “private slaughterhouses” (the term referred to any structure in which animals were slaughtered for human consumption, e.g., a butcher’s shed) because they would remove the sight of animal slaughter from public places and indiscreet private slaughterhouses, they could more easily be monitored, they were generally considered to be cleaner as well. Our argument is not so much different from that. That is not to say that industrialization or mechanization of slaughter is somehow preferable to what could be a humane end by a licensed butcher. 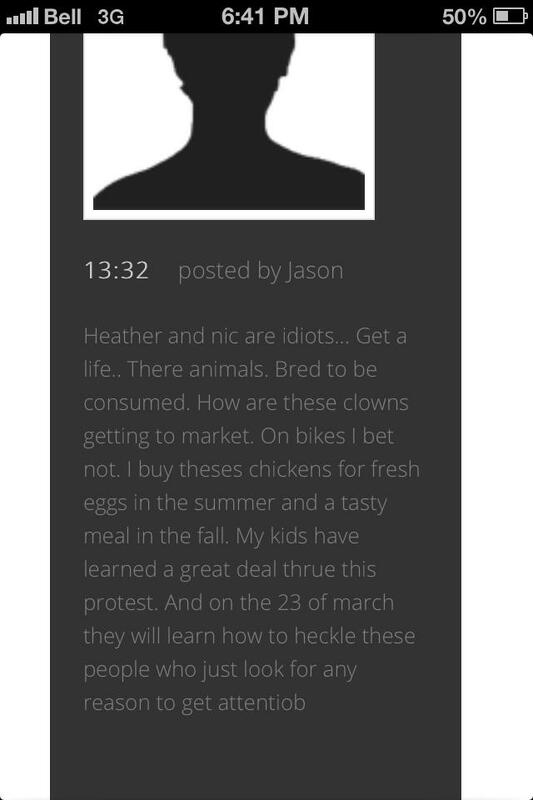 “Rodger Dunlop’s “hope” that the slaughter of farmers’ market purchases is humane is inadequate. That the manager of regulatory compliance for the Ontario Agriculture Ministry “hopes” that these animals will be treated without cruelty by a public whose methods of ending an animal’s life are not monitored, nor guided by definable regulations is an unfortunate guarantee that many short lives will have horrific endings. Farmers’ markets attract city dwellers the way clover fields draw bees. Every major Canadian city has at least one, and they have been a favourite tool of city planners seeking to develop new communities or rejuvenate rundown parts of town. Typically, farmer’s markets have a new role as a popular anchor for urban redevelopment to lure both tourists and residents as the buy-local food movement gathers momentum. I myself also enjoy farmer’s markets and I’m a frequent patron of the Evergreen Brickworks Market and the Reesor Farm Market. Toronto has an abundance of small markets tucked away in the city that promote local produce and bring colour and life to stagnating urban areas. Although the Stouffville Market, located northeast of Toronto in York Region, has a large and comprehensive vegetable market, they’ve been hiding a dirty little secret from the nearby community. The Stouffville Market also houses a livestock area that is open-for-business from 3am – 11am on Saturdays most months of the year. Most Canadians are unaware of the fact that animal abuses are endemic in agriculture in Canada. The Toronto Star recently published an op-ed piece describing why this might be so. The author asserts that peaceful Canada condones such cruelty to farm animals largely due to the fact that these practices are generally concealed from the scrutiny of the public eye. I agree! And with small steps such as highlighting the numerous issues at this market, welfare advocates gradually move towards exposing these and other practices committed against farm animals. Arguably, this is also the case at the Stouffville Livestock Market as well, where it seems that the only patrons of the market appear to hail from various ethnic and “old world” communities. Despite having an excellent vegetable market on the same premises, the livestock area reminds one of a third-world market where animals are constricted in tiny cages unable to move, then stuffed into onion bags awaiting a horrible fate at some other location. The livestock market is also a fire hazard as both patrons and sellers smoke openly around straw-filled cages. Stacks of poultry cages packed with live birds fill the area – most of these birds and other animals won’t sell today and will be shipped back in these cages or dropped off at the abbatoir on the way back from the market. We witnessed these plastic “cages” being flung onto the pavement at the market in the early morning, the birds inside utterly commoditized. The market is a little shop of horrors in the early morning too, where customers wait in the shadows at 3am to make their purchases. What reputable business operates in the shadows of darkness at 3am? Although we did not witness it, there were animal sounds emanating from nearby that were consistent with slaughter, which is not permitted on the property. 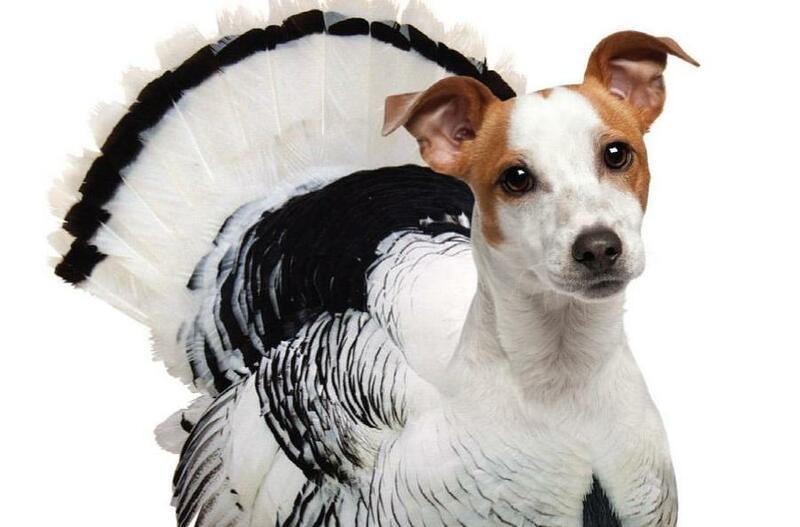 Furthermore, what reputable vendor would toss used-up or weakened birds out on the road or in ditches in onion sacks to drown or slowly die constricted by their onion sacks? Thankfully, there is a kind-hearted good samaritan in the area who collects and rehabilitates these animals, but why is this cruelty perpetuated without repercussions for these sellers? Throughout the day, vendors barter and patrons go home with chickens, rabbits, and ducks stuffed into onion sacks, where they are put into the trunks of cars. This is November, but I’m sure the practice of putting animals in trunks occurs during the oppressive heat of July as well. We would be outraged at the sight of a dog being put into a trunk or left in a hot car, but where is the outrage here? The problem is that few people, outside of the ethnic community it serves, even know that this market exists. Pigs laid out on flattened cardboard boxes, not protected from the fingers of patrons who perhaps have handled live chickens. may have just visited the livestock area and handled a chicken. I did not see the vendors in this area wearing gloves either. Shipment and adapting to new locations causes stress on birds and makes them more likely to shed bacteria in their droppings. While anyone can become ill from exposure to these germs, the risk of infection is especially high for children, the elderly, and persons with weakened immune systems; for example, people receiving chemotherapy or who are HIV-infected. One of the most important bacteria to be made aware of is Salmonella. Birds infected with Salmonella do not usually appear sick. Salmonella lives in the intestine of infected chickens, and can be shed in large numbers in the droppings. Once shed, bacteria can spread across the chicken’s body as the bird cleans itself and throughout the environment as the chicken walks around. Therefore, it is especially important to carefully wash hands with soap and water after handling young birds or anything that has come in contact with them. I have confirmed with Dr. Popper of the CFIA that this market is not allowed to sell hoofstock. Yet, today, we see ample evidence of goats and pigs being sold despite the CFIA’s assertions. The market is a disgrace and a blight on the community. They know that they are not permitted to sell hoofstock yet they thumb their noses at regulations. 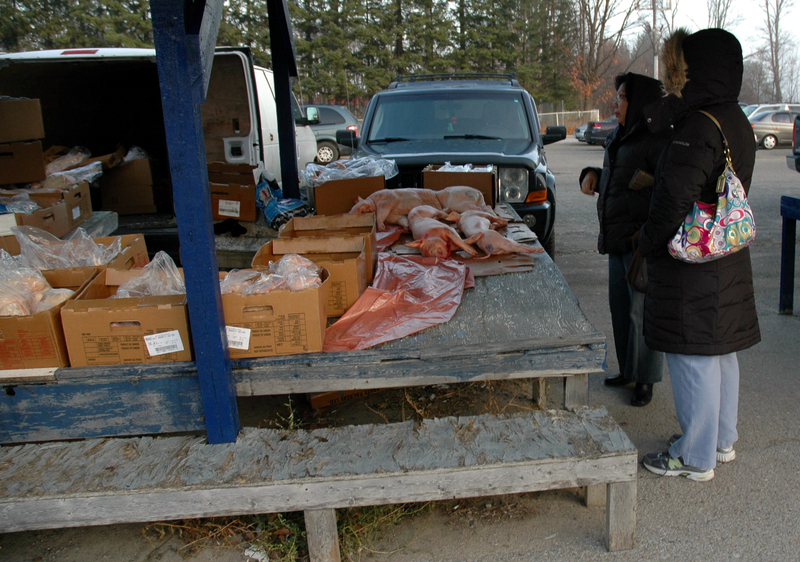 Some vendors appear to be selling Mallard ducks as well, which they assert are Call ducks. This issue remains in contention because Call ducks are usually smaller, stockier, with shorter bills and necks. We are of the opinion that these are Mallard ducks. To report infractions, please contact the Ministry of Natural Resources or call 905.336.4464 for the Canadian wildlife service, and 1.877.847.7667 for infractions. Please sign the Petition to close down the livestock market. 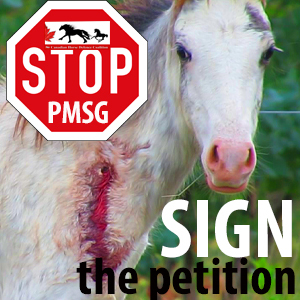 This petition sends emails directly to the Mayor of Stouffville, Wayne Emmerson, and OMAFRA Minister Ted McMeekin. Postscript ~ In an article written for York Region.com it was noted that Mayor Emmerson had contacted me and was waiting for a response. I’m unsure by what media this contact allegedly took place, since I have an unpublished phone number that I haven’t provided to anyone. I have no records of any phone calls originating from the Stouffville area, nor do I have any messages on any of my phones. I have received no emails nor have I seen a comment left on this blog. If Mayor Emmerson wishes to reach me I would be more than happy to speak with him, so perhaps he could leave a message on this blog. Stock trailer in which the goats are housed, perhaps to keep them out of sight. Clearly identifies the market in the background. This couple have three bags of animals. All birds have had their wings clipped so that they cannot fly away. Mallard ducks are also for sale. Piebald Muscovy Ducks cannot fly since their flight feathers have been clipped. 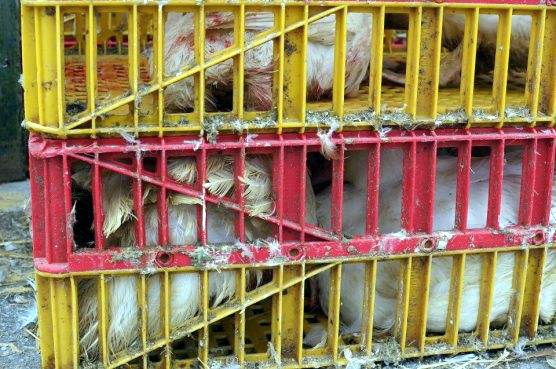 The red and yellow plastic “cages” also contain chickens who are unable to stand up inside. We witnessed vendors dropping these cages from waist-height onto the concrete. We saw and heard the sounds of chicken legs breaking several times today as they are manhandled. The vendors are wise to those of us carrying cameras. Yeah, army camo fits right in here. The vendors seem to be more careful with the chickens when we are there with cameras. They will argue with a single person but not a pair of people. What would be the interior temperature of this trailer in November with slats open? The market is not permitted to sell hoofstock, yet, here they are! Animals of various species loaded into onion sacks. There is significant weight to these sacks and the animals on the bottom are being crushed. We are outraged at the thought of a dog or cat being put into the trunk (or on the roof) of a car. Yet where are the voices for these chickens, ducks, and rabbits who are put in trunks, probably also on the hottest days of the year? A very handsome chicken indeed.